Home / One canvas inspires another and then back to the first! 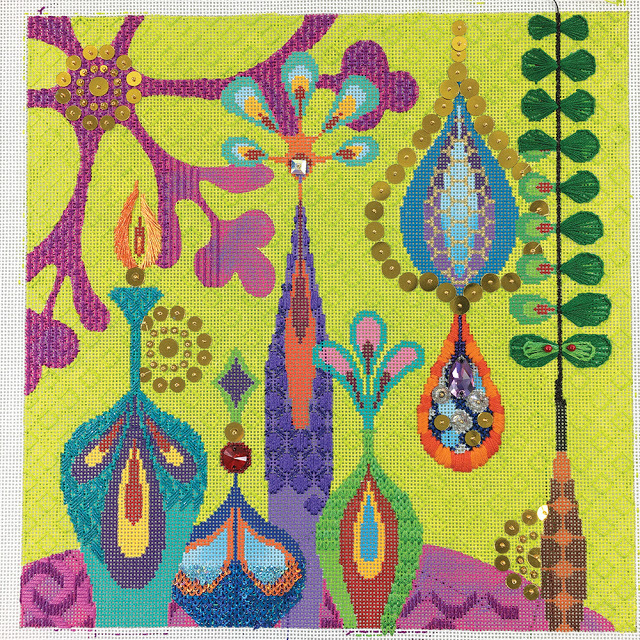 Tapestry Fair has this great series of canvases that show big bold baubles that are sort of funky, sort of sparkly, totally fun. First there was the menorah and the Christmas Collage and I loved them both but not enough to want to stitch them. They are too blue for me. I asked Peggi of Tapestry Fair to use these as a jumping off point to create another design that would inspire me to stitch it. She hit it out of the park. 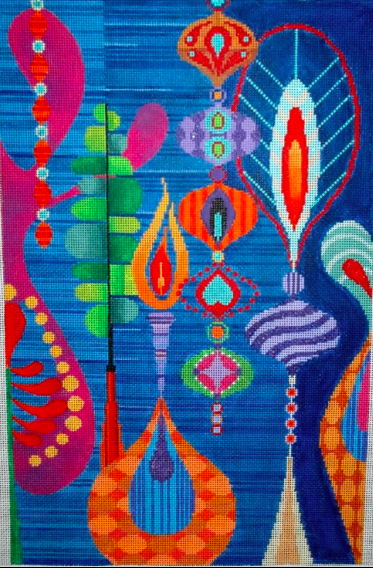 The Christmas Abstract has all the beauty and detail of the original pieces but suits me so much more. Super fun to stitch and one day I will finish it. 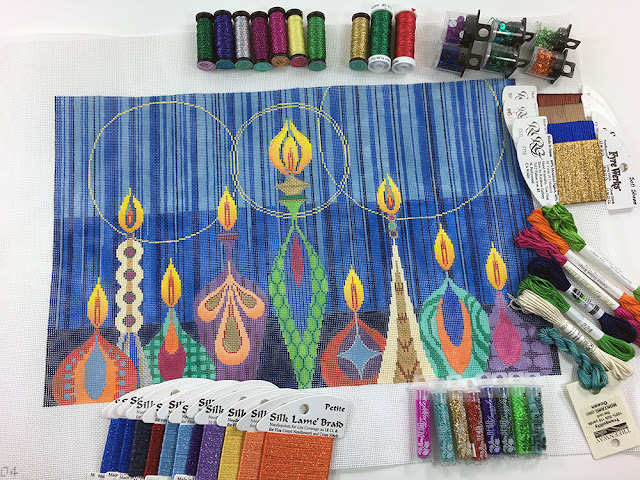 Going full circle, a dear friend requested that I use what inspired me in threads and stitches from the Christmas abstract to write a guide for the Menorah. And so I did. It all came full circle from one canvas to another and back to the first! If you are interested in either, give us a call at 410.296.0405 or order online. 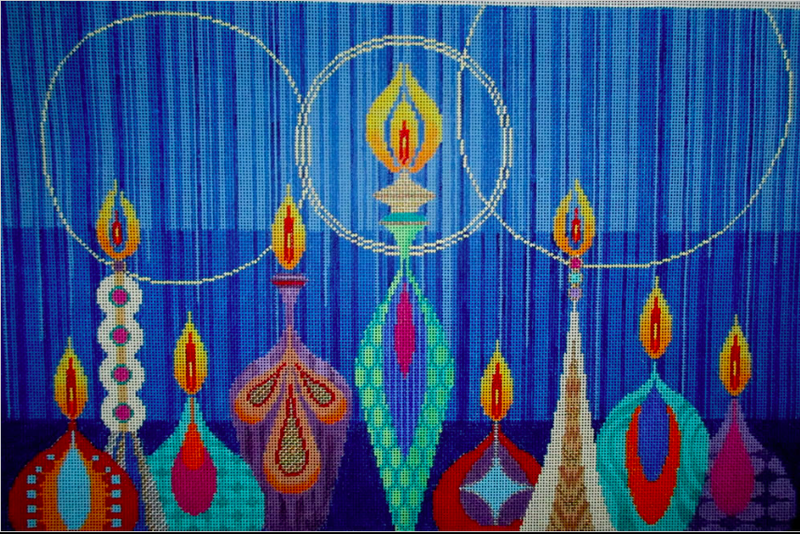 Here’s the link for the Christmas Abstract and for the menorah.